Happy Wednesday everyone! 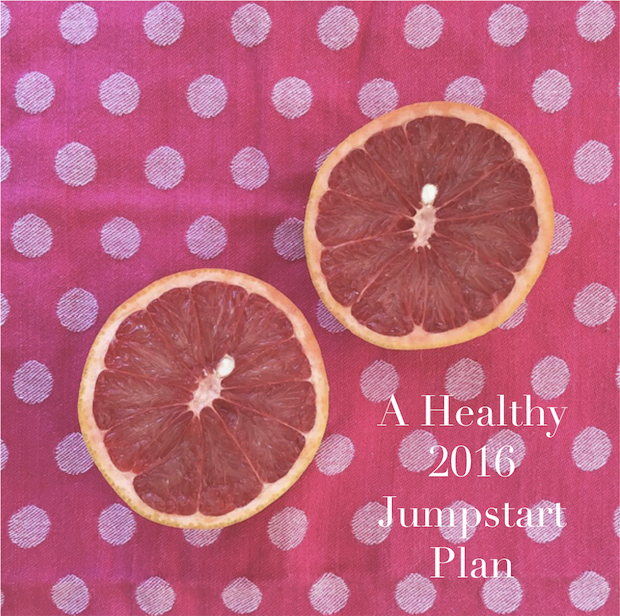 Today I'm so excited to officially launch my "Healthy 2016" jumpstart with you as my first Wellness Wednesday post of the new year. I've compiled a sort of "program"to get my healthy habits started for 2016 and since I now a lot of people are also wanting to cleanse after the holiday season, I thought this would be a perfect post to share! I started my little cleanse Monday to test it out before blogging about it, and I have to say other than craving chocolate (SOS) I'm feeling pretty energetic and motivated to keep going. I first want to start off by saying that I am in no way suggesting a "fad diet" or any sort of crazy calorie restricting cleanse that only lets you eat cucumbers for 5 days. Instead, I'm cutting out a few common foods for 7 days that I've eaten a bit too much of over the past few weeks, then focusing on getting more nutritious food groups in my diet. One of my friends and I are doing this together for a week and it's so helpful to have someone motivating you along the way. I know, it sounds near impossible to do for 7 days. I didn't think I would be able to do it for more than a day, but after 2, I have gotten into the groove (and even avoided the huge bag of candy my spanish teacher brought in yesterday!). This will obviously be different for everyone but this amount of total time at the gym has been working perfectly for me lately. In the next few weeks, I'll probably bump up some of the reps and amounts of time on each machine, but it's a good starting point for the beginning of the month. After the 7 days, I will introduce the banned foods back into my diet, but am thinking I'll be more motivated to make nutritious choices and won't crave sweets as much! If you have any specific questions about this little program I've compiled or want advice on how to design your own, feel free to shoot me an email at carolineyauck@gmail.com and I wouldn't be happy to help you out! Are you on any sort of health kick for the new year? I'm so happy to be back in my clean eating ways! I'm doing the same thing right now and am on day 3 of 12! Good luck! Good Luck girl, you got this!